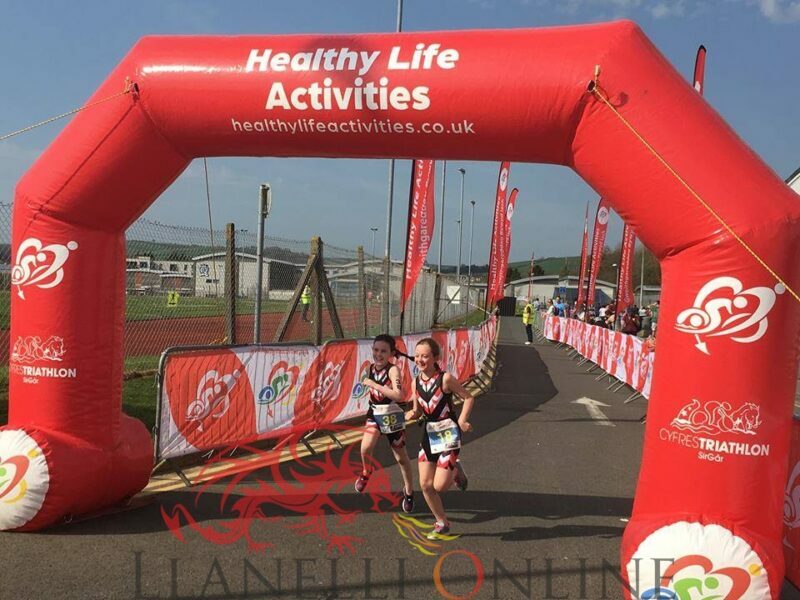 THE Healthy Life Activities triathlon series has got underway over the last seven days with a double header of events for novice and elite triathletes of all ages in Ammanford and Carmarthen. 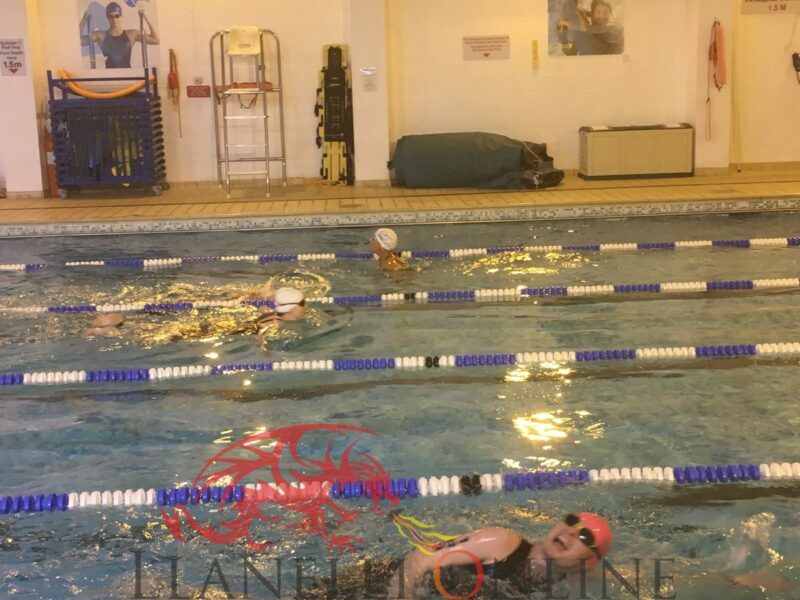 Carmarthenshire Senior Triathletes got their 2018 campaigns underway on Sunday 15th April with the first event of the Healthy Life Activities. 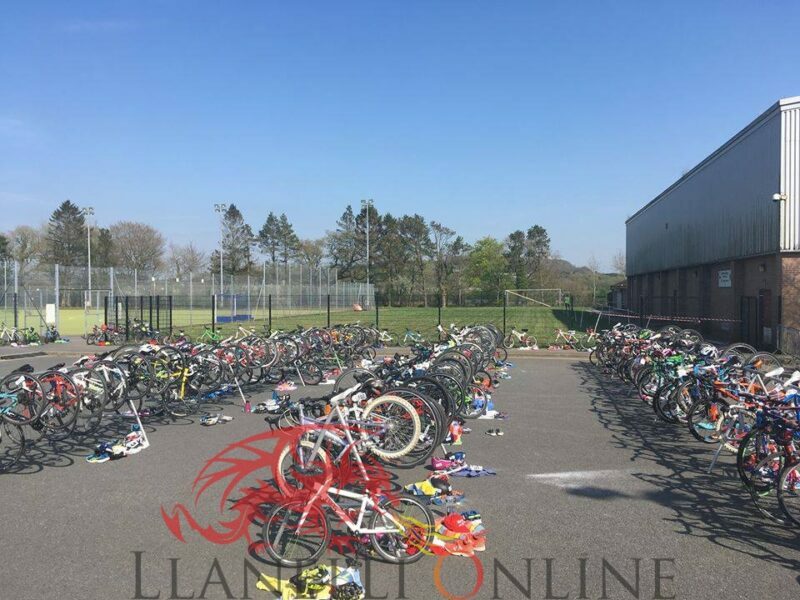 The Amman Valley Sprint Triathlon at Ammanford Leisure Centre attracted 250 athletes last year and was boosted to 300 this time round, with entries sold out with 3 months to go. 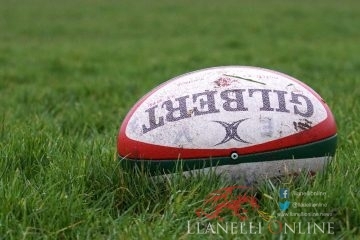 Former Welsh Rugby Union players Ryan Jones and Shane Williams were amongst those taking part in the Amman Valley. 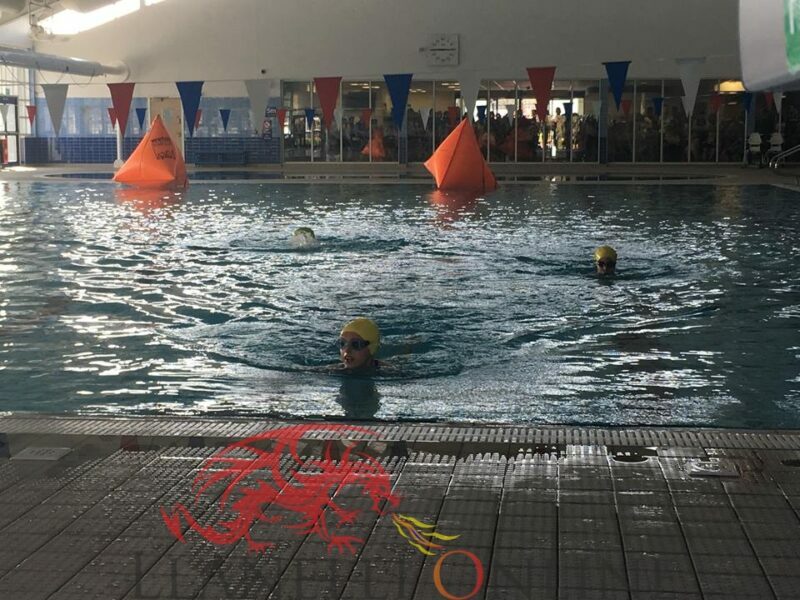 The first wave went off at 7.30am and the course facing the competitors first off was the 400m swim (16 lengths) inside the Amman Valley Swimming Pool. 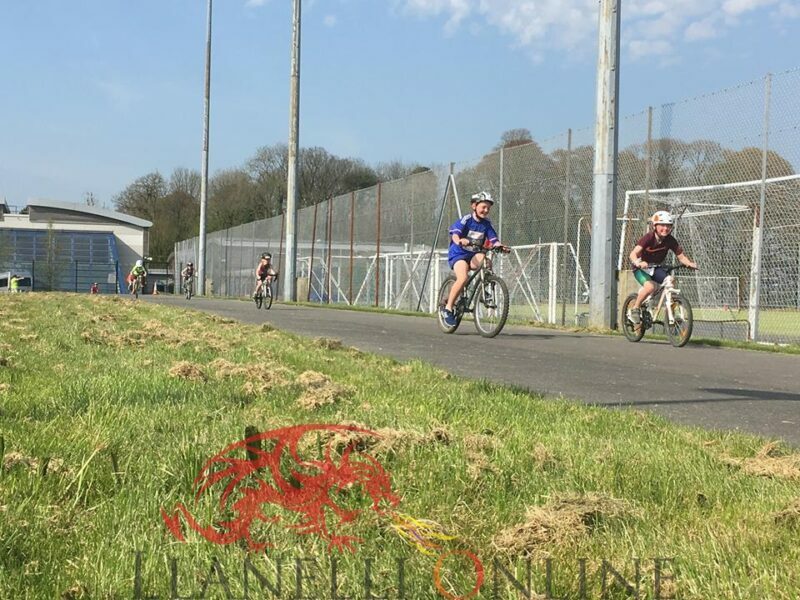 Next up after passing transition was the 16k bike ride up the main road East from Ammanford to Garnant and back, followed by the 5k run which took runners along the new cycle path in Pontaman on a picturesque trail. 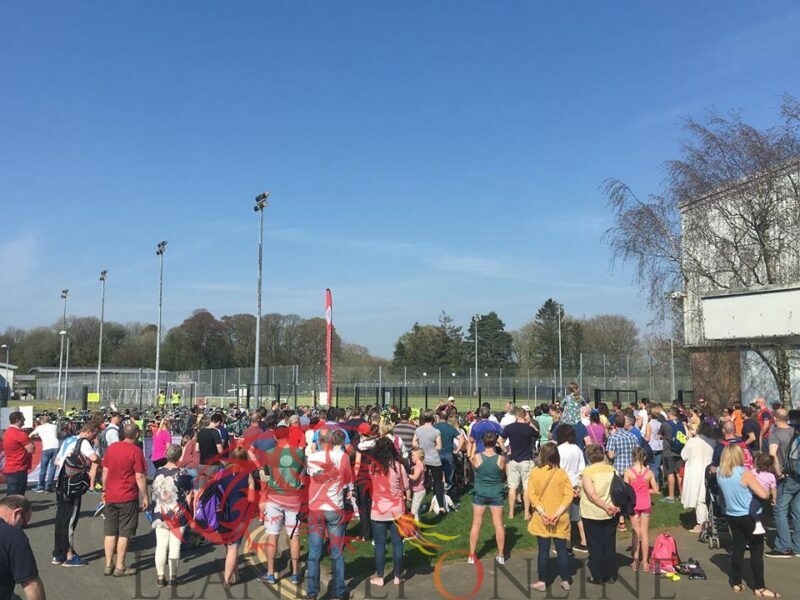 Returning along the same route, all participants were welcomed home at the Leisure Centre. 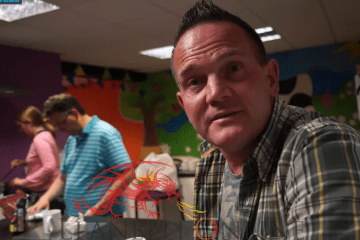 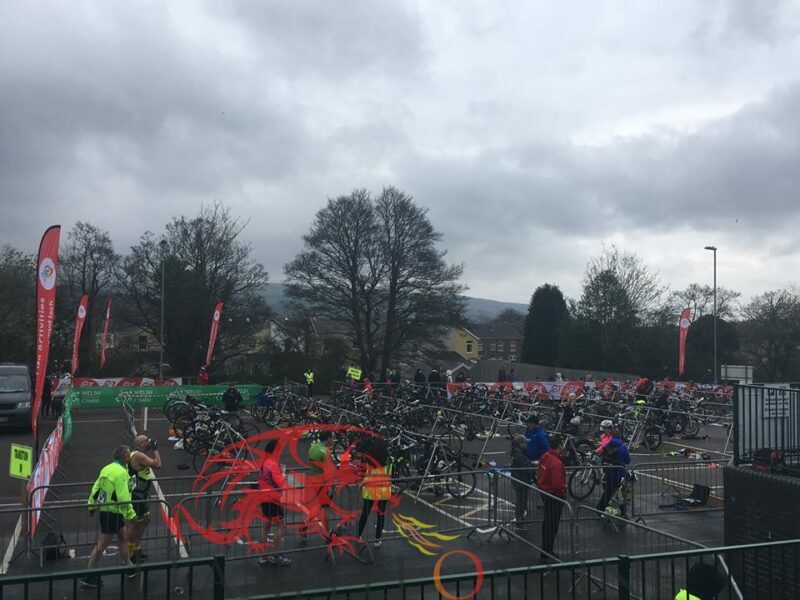 The Amman Valley Triathlon was the first of five Carmarthenshire Triathlon Series events, where those wanting to be included need to complete four out of five locations. 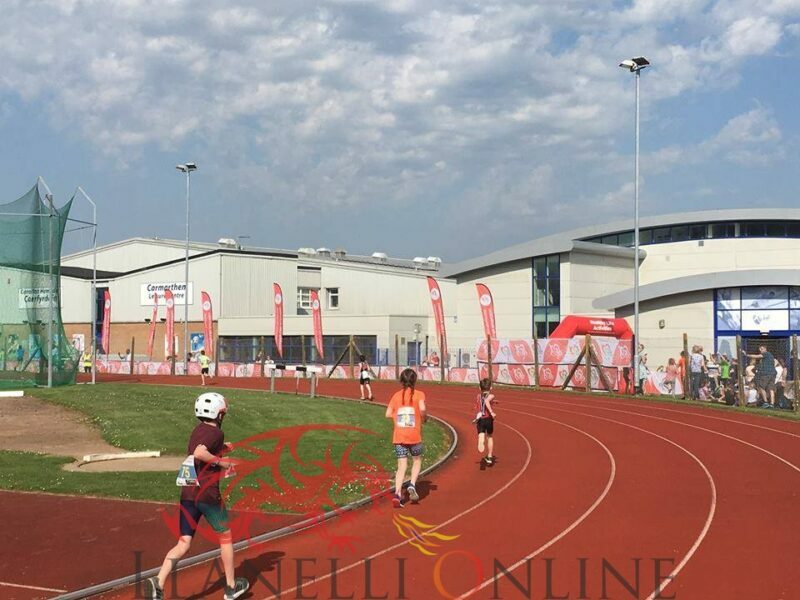 The series positions will be determined by adding up the overall finish positions in each event. 2017 winner Nathan Ford repeated his performance to win for a successive year in 50:40. 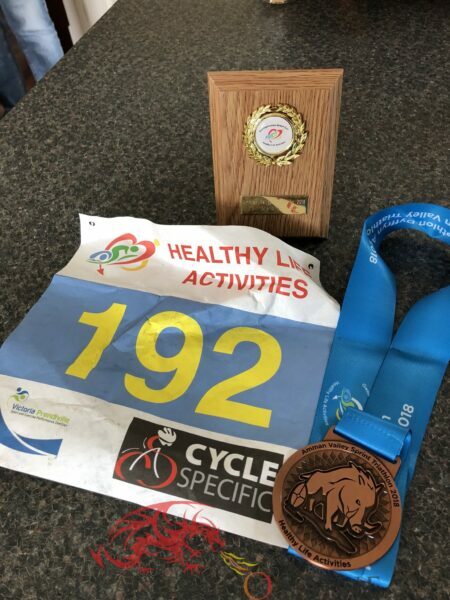 Stephen Rowlands came in second place (54:06) with Nathaniel Harries moving up into the junior age group was third overall but took the male junior category (54:21). 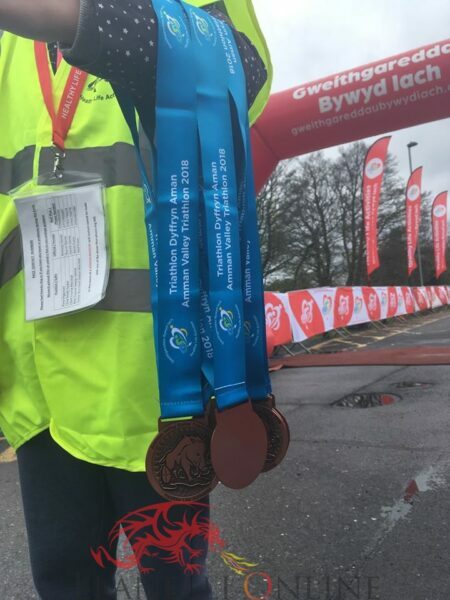 Rebecca Bennett was the first female to cross the line in 58:22 followed by Bynea CC’s duo of Elizabeth John (1:01:48) and Katie Bowler (1:03:34). 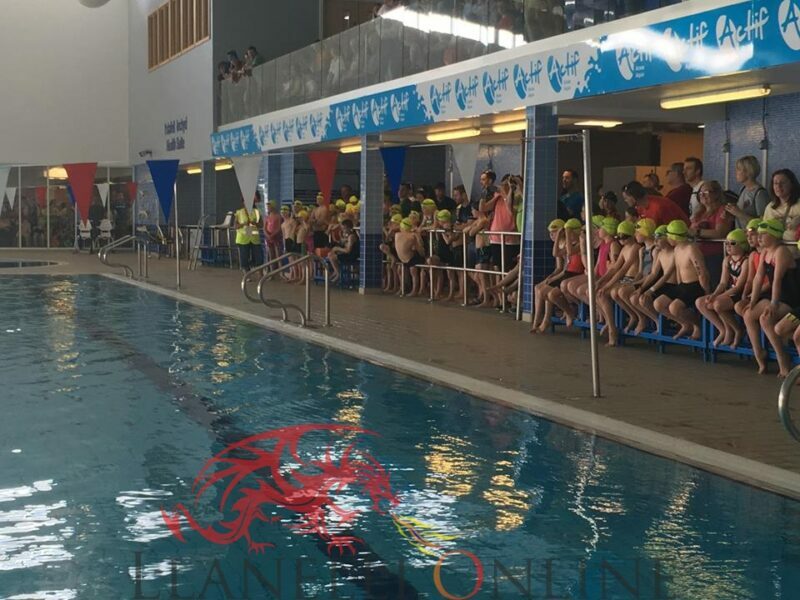 Six days later on Saturday afternoon, 21st April, it was the chance of the future generation to take centre stage at Carmarthen Leisure Centre. 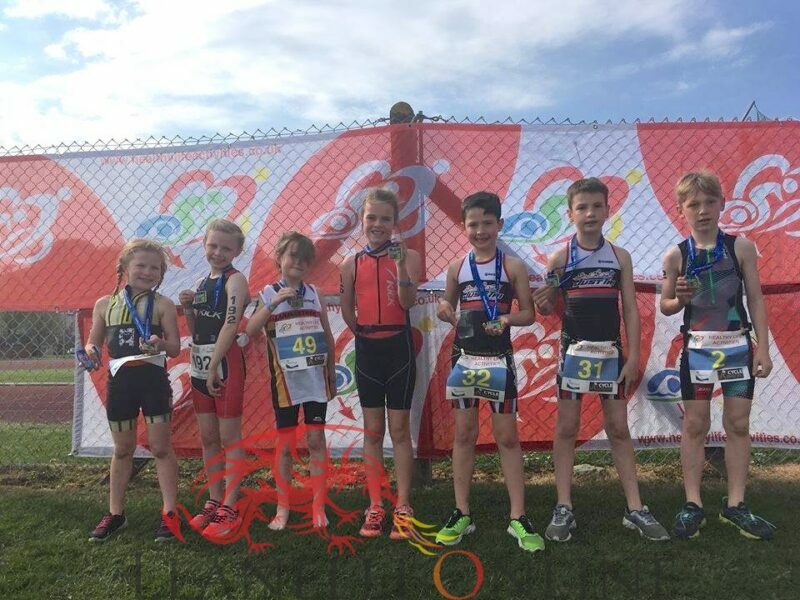 The sixth edition of the Carmarthen Junior Fun Triathlon again attracted over 150 children ranging in ages between 8 and 14 years old. 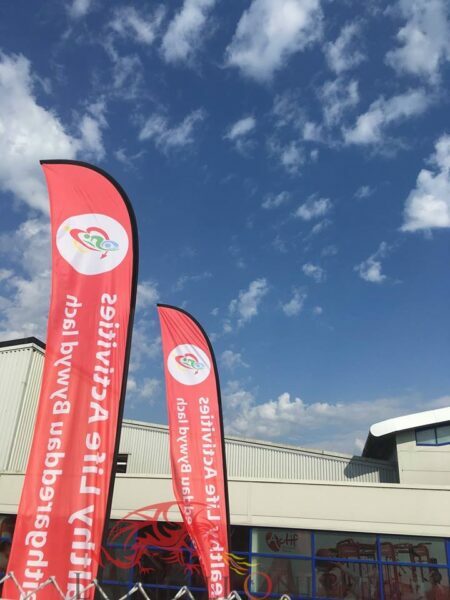 Held on a stunning summers afternoon at the facility in Johnstown, there was a choice of two courses to complete. 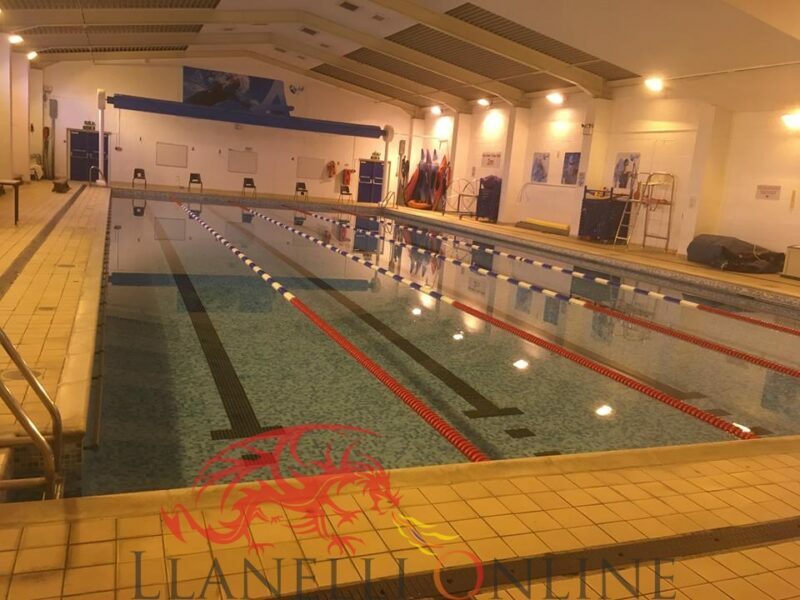 The event began inside the swimming pool and then the cycle was loops around the QE High Comprehensive school. 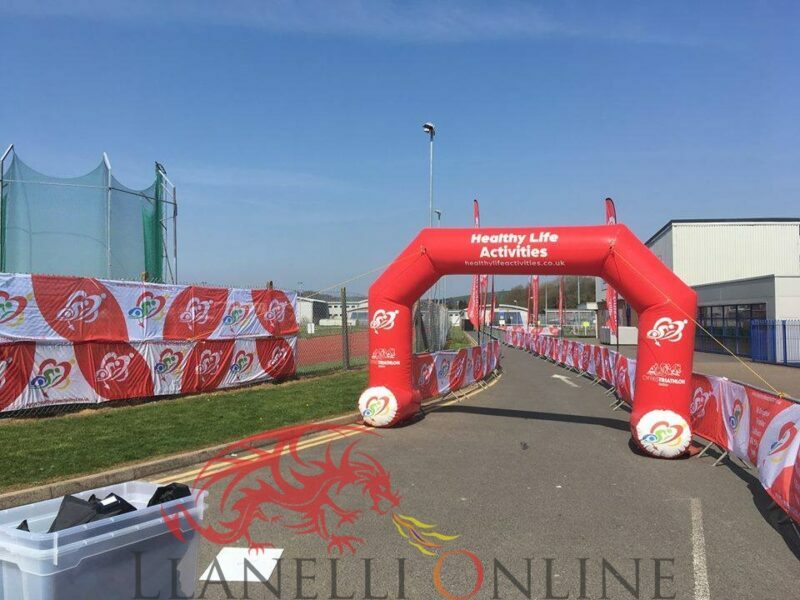 After returning their bike to transition outside the leisure centre, they then ran 1 or 2 laps of the Carmarthen Harriers Athletics track before finishing under the HLA inflatable. 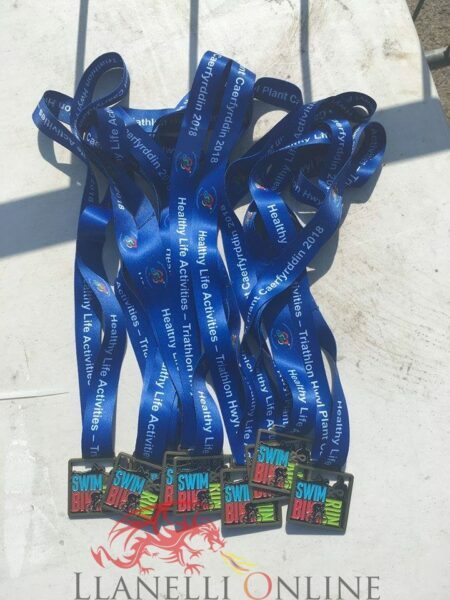 On ending the route, all participants’ efforts were rewarded with a fantastic finisher’s medal along with some goodies. 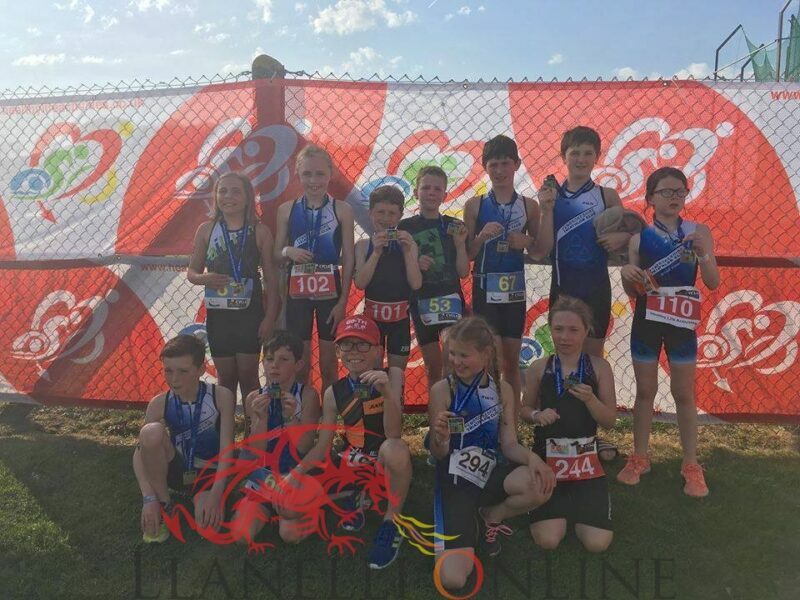 While some had gained confidence and experience over past fixtures, for 60 of the competitors this was their first ever triathlon. 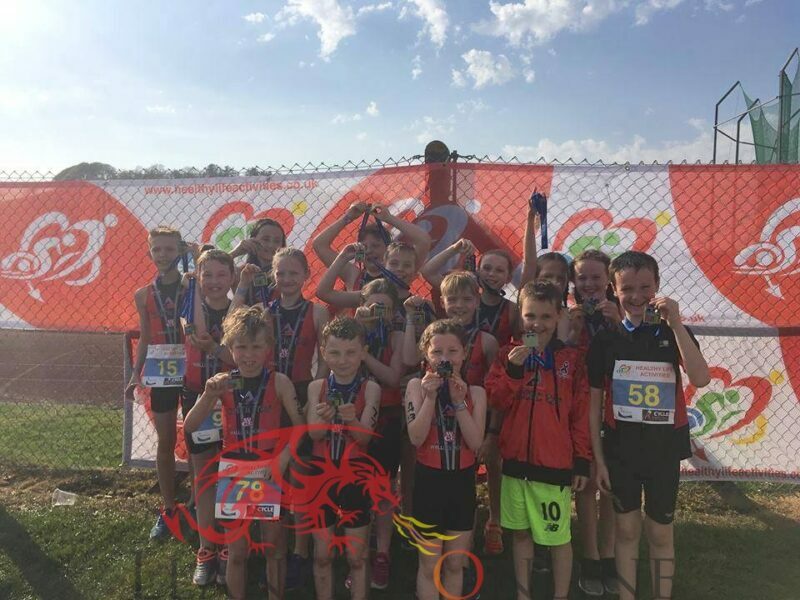 It was clear that they had all enjoyed their day out with the smiling faces that was shown as they crossed the finish line and in front of the cameras. 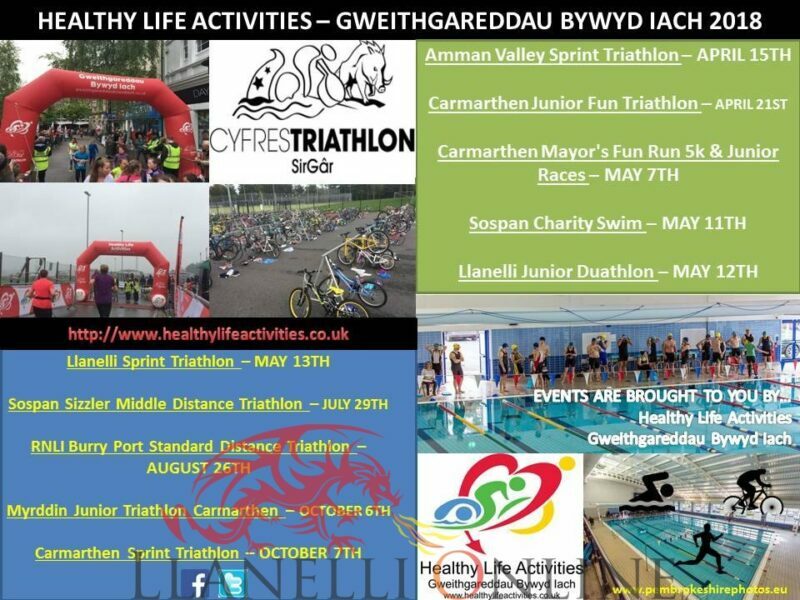 The Carmarthen Mayor’s Fun Run Races, Sospan Charity Swim, Llanelli Junior Duathlon, Llanelli Sprint Triathlon, Sospan Sizzler Middle Distance Triathlon, RNLI Burry Port Standard Distance Triathlon, Myrddin Junior Triathlon and the Carmarthen Sprint Triathlon are all still to come this summer, all organised by Healthy Life Activities. 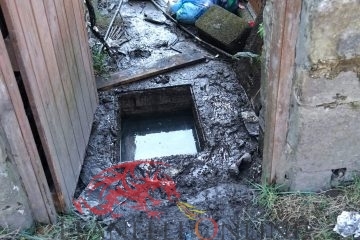 To find out more information and how to enter, visit www.healthylifeactivities.co.uk.